A cool November morning mist clung to the branches of the 200 year-old Dogwood and Magnolia trees that line the streets of Huntsville’s Twickenham Historic District, where over 250 stately antebellum-era homes preside over meticulous gardens and lush, rolling lawns. But by the time this solicitous group of travel writers and guides finished our tour at the infamous 1819 Weeden House & Museum, the mist had succumbed to a sunny Indian Summer day, perfect for roaming Twickenham’s wide, undulating streets and relishing in the sensational lore that emanates from its regal homes. There is no doubt that the architectural diversity found in Huntsville’s Twickenham district is as multifarious as the people (and cows…?) who inhabited them. 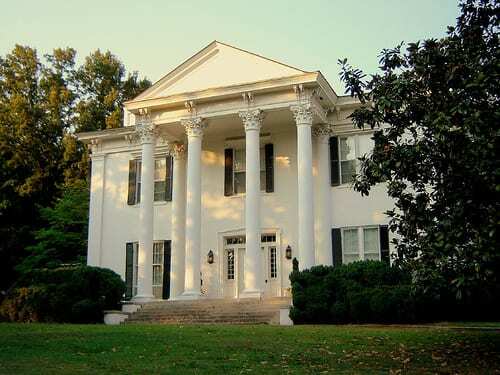 Delicate details and neo-classic Federal-style features at the Weeden House abut imposing Greek Revival columns supporting the monumental Bibb House, the 1834 home of Alabama’s second governor. Moving throughout this sprawling historic preserve, the disparate architectural components of Gothic Revival, Italianate, Chateau, Romanesque, Queen Anne, and Arts & Crafts styles seem to compete with each other, much like the folks who inhabited them. One estate boasts a Tiffany stained-glass window! 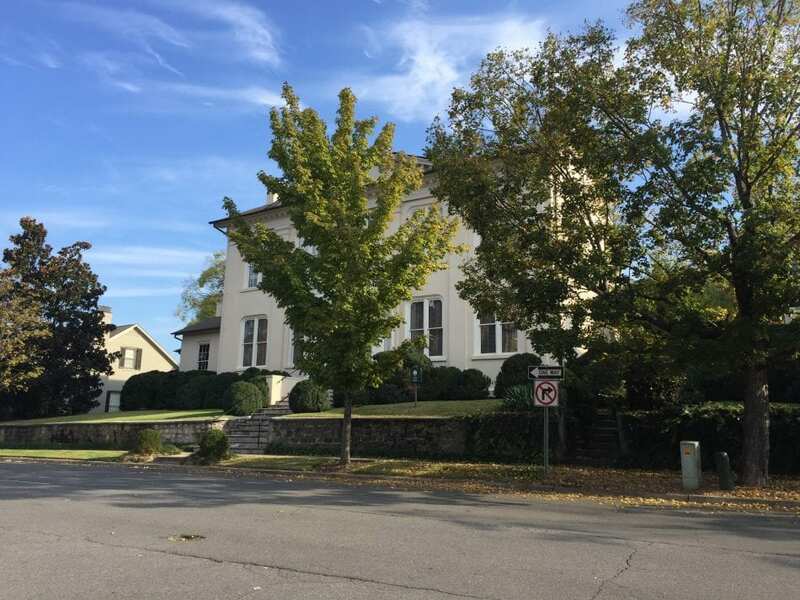 Yet regardless of the disparity, Twickenham’s architectural masterpieces have managed to coexist a span of 200 often turbulent years, and now provide a rich and entertaining lesson in Huntsville’s illustrious history. In 1814 Leroy Pope, one of the town’s founding fathers, built Twickenham’s first home, now considered one of Alabama’s oldest. Here he entertained a number of dignitaries, including President Andrew Jackson. However, the once coveted views from Pope’s elevated Twickenham locale were ultimately blocked by neighbor Joshua Cox. Legend has it that after a spirited argument with Pope, Mr. Cox took vengeance by constructing a Spite House which boasted 14 foot ceilings on the first floor and 16-foot ceilings on the second. Although the friendship between Pope and Cox ceased, the political legacy of the Twickenham district’s first resident endured with secessionist grandson Leroy Pope Walker, a former Secretary of War who ordered the 1861 firing on Fort Sumter, thus starting the Civil War. The 1819 Weeden House is a sprawling 6-room Federal-style mansion that was home to several influential southerners including U.S. Supreme Court Justice John McKinley, and poet and painter Maria Howard Weeden. A group of Union officers also inhabited the mansion for a bit during the Civil War. In the parlor, massive floral arrangements of dried hydrangeas and crystal candelsticks crown the fireplace mantle. 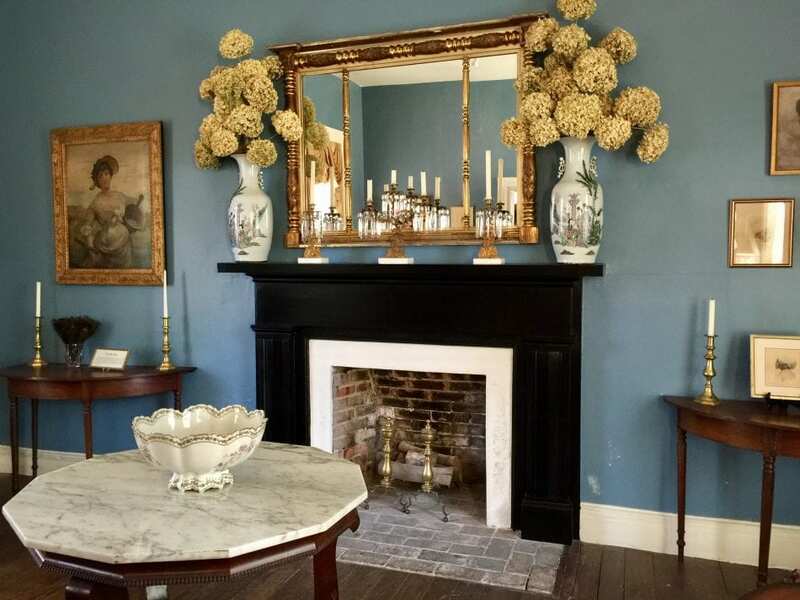 The room’s federal-blue colored walls complement the home’s delicate architectural style, and are adorned with Maria Weeden’s ornately framed portraits illustrating the compassionate spirit of the servants and slaves who cared for her home. Upstairs, a cluster of elegantly appointed bedrooms imbue a luxurious feel where afternoon tea and dressing for dinner were perhaps a daily ritual. Each room in the Weeden House has become a valuable archive of wealthy southern life in the 19th century. The twisted tales of Twickenham permeate historic Huntsville. In 1819 a group of 44 delegates convened in Huntsville for Alabama’s first Constitutional Convention. 43 years later, thanks to a Civil War telegraph operator and Union sympathizer who ‘forgot’ to warn residents of an approaching Union Army, the town of Huntsville was taken by Federal troops without a single shot being fired. And in 1902, in an upper apartment of the historic Schiffman Building (just steps away from Harrison Bros, the state’s oldest hardware store), Alabama politician William Bankhead and his wife Adelaide welcomed their second daughter, Tallulah. The award winning actress (and dah-ling vixen) was perhaps more notorious off the silver screen than she was on it. Tallulah Bankhead literally charmed the pants off many of Hollywood’s … and Huntsville’s … aristocrats, thus bestowing her bodacious brand of promiscuity and debauchery on Twickenham’s elite. 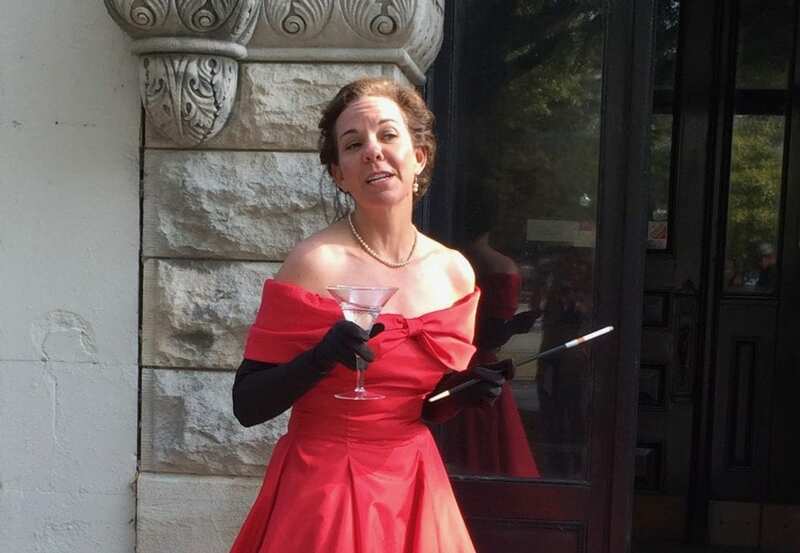 Yet, perhaps the most amusing Twickenham tale took place in 1892 at the Moore-Rhett House, an 1834 Italianate structure. The home’s owner, Gen. Samuel H. Moore – along with W. E. Matthews, was proud owner of a 950-pound Jersey cow named Signal’s Lily Flagg. Mother to eight calves, the prolific bovine generated enough milk that year to churn 1,047 pounds of butter, and was officially named the top butter producer in the world. That, folks, is fodder for a party … or two. The luxurious and newly constructed Monte Sano Hotel hosted a formal celebration on June 29th, followed by a more intimate affair three weeks later at Twickenham’s Moore-Rhett house, which was painted a scrumptious butter-yellow in honor of Moore’s beloved bovine. No expense was spared for Lily’s party, which included a massive dancing platform and the installation of electric lights (some of the first in the southeast). There remain in Huntsville today, numerous nods to the city’s infamous quadruped, including Lily Flagg Milk Stout, a tasty dark beer created by local craft brewery Straight to Ale. 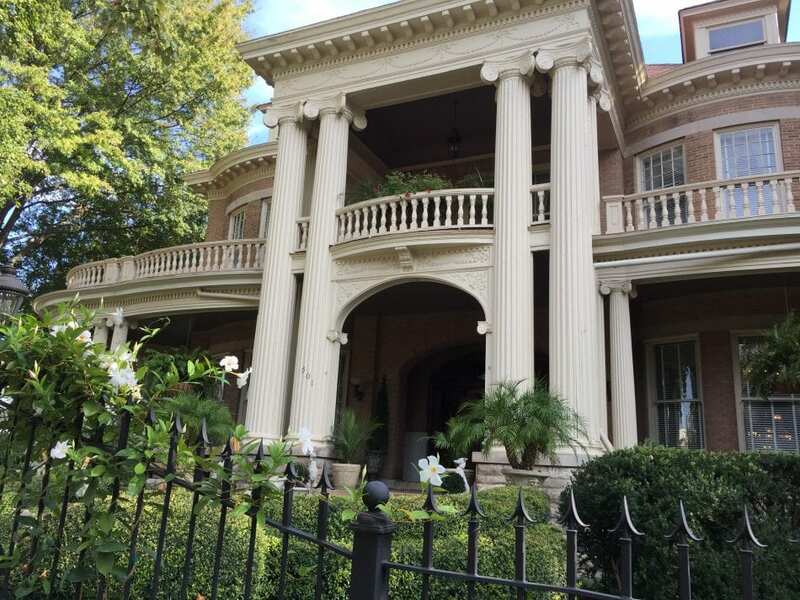 The Twickenham Historic District is considered the most dense concentration of pre-Civil War Antebellum homes in Alabama. A stunningly beautiful collection of grand estates amidst lush gardens and massive shade trees, Twickenham is a MUST-EXPERIENCE for anyone interested in southern American history and architecture. 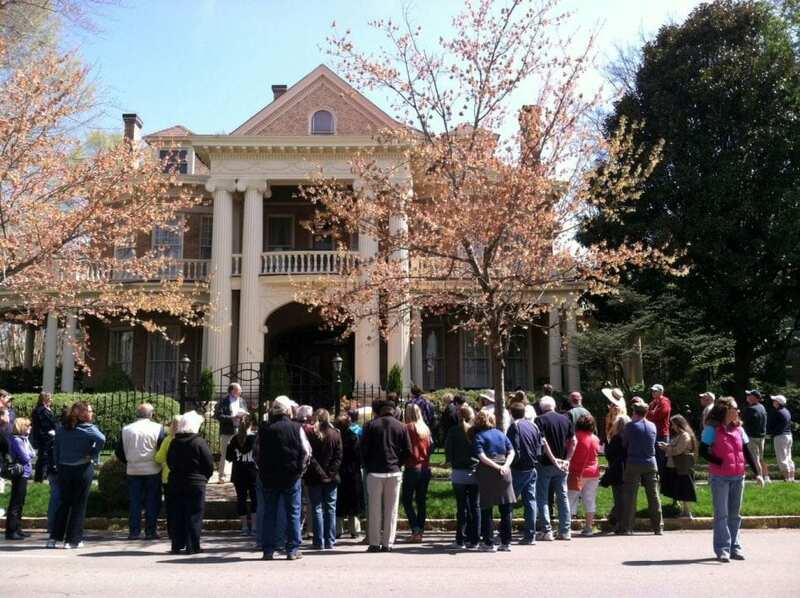 TBEX North America 2017 in Huntsville includes a Twickenham District Guided Walking Pre-Bex Tour on May 4th. Space is limited to 30 participants and it’s filling up FAST! BTW: here’s a great article from Entrepreneur on the Fly for those of you who are attending TBEX for the first time! Please use the hashtags #tbex and #ihearthsv when posting about your experiences at TBEX North America 2017 in May!